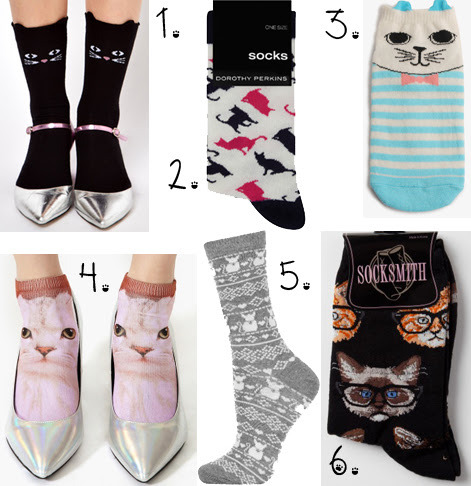 One of the easiest and most economical ways to get your cat fashion fix is through socks, and I've been noticing a slew of stylish designs pop up in shops around the web. Wear them with sneakers to keep your kitties on the down low, or pair them with pointy flats for a more daring look. Awww , so many cute kitty-socks ! !